Join our puppy parties today. Looking for an exotic vet? As pet owners ourselves we understand how much they mean and are committed to providing the best possible care whenever it’s needed. 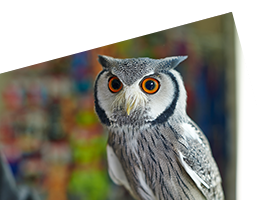 Along with our expertise in all furry creatures, we have a special interest in the treatment of exotic pets, making us the best local all-rounder to support your pet’s health. 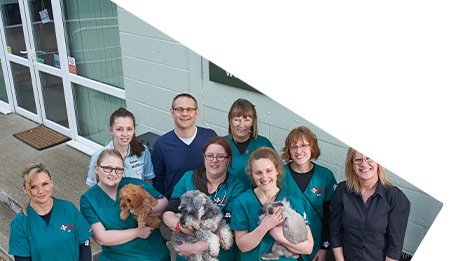 So lucky to have this specialist vet for reptiles nearby Norwich - nothing has ever been too much bother for them and all the staff are friendly and enthusiastic. Trust them absolutely with my babies and could not recommend them highly enough for other reptile owners - the Pet Plan they offer is also very good value and great for keeping well on top of your reptile’s health. Such a wonderful team from the moment you walk in the door. I've been using All Creatures for both my rats and my cats and couldn't ever recommend anywhere else to anyone as they do such a fantastic job. 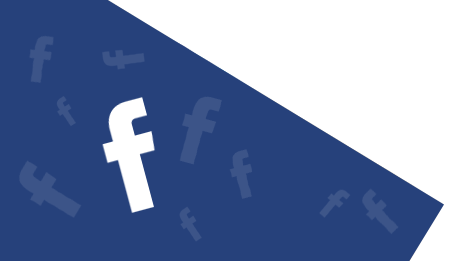 They're honest and up front with you regarding diagnosis, treatment and costs. They also offer a fantastic free support service with the weight check clinic for my porky cat. It can be so worrying taking your furry, scaley or feathered friends to the vets but as soon as you walk in you feel like you're part of the family. Fantastic vets! I was so nervous about my getting my rabbit neutered due to the complications that can occur and how hard it is to find a team that understands rabbits, but Amy was just brilliant and completely reassured me by talking through the operation process thoroughly, she called me before they were about to operate and as soon as it was done - the nurse then also gave us thorough aftercare advice. Lovely receptionists too. Artemis was back to his normal self an hour later and we have now arrived safely in our new home in Ireland - we've even rescued an Irish bunny wife for him since! I can't recommend this vets enough and if it wasn't for us relocating, I wouldn't go anywhere else! Thank you again! Thank you so much to Anja, Lois, Liz and all the team, I was given your details via a fb recommendation having previously been unhappy with the care from 2 Norwich based vets practices. I have nothing but praise and thanks for the most amazing care both the bunnies and I received throughout the process with staged information and cost breakdown allowing me to make informed decisions. Both Blossom and Albus have made the most amazing recovery and are back to their cheeky personalities andI can't thank you enough. Will only bring my bunnies to your surgery from now on - having a team that understands rabbits is such a rarity, thank you! 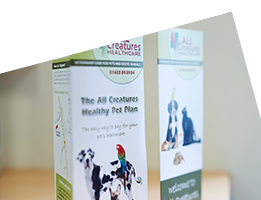 "Just been for first time, excellent place and the staff definitely know their stuff, Sally was a confident vet who had very good knowledge of reptiles, the pet plan seems a very good deal also, and the consultation is one of the cheapest around 5****"
"All the staff have huge amounts of compassion for their patients and they will do their utmost to help. 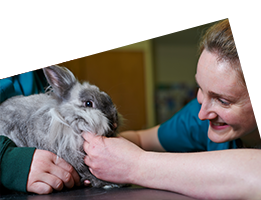 They have seen my parrot, rabbit and cats, and were able to treat each species with the same level of expertise. A trip to All Creatures is never scary as all the animals have been treated so well!" 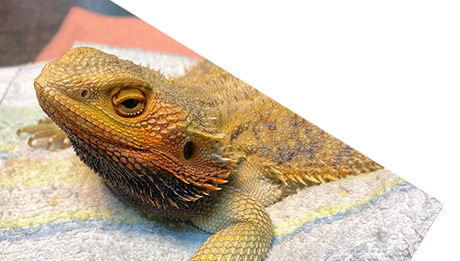 "So lucky to have this specialist vet for reptiles nearby Norwich - nothing has ever been too much bother for them and all the staff are friendly and enthusiastic. Trust them absolutely with my babies and could not recommend them highly enough for other reptile owners - the Pet Plan they offer is also very good value and great for keeping well on top of your reptile’s health. How could I possibly say anything bad about a vets that answered the phone at 11:30pm for half an hour’s talk, happily speaking to me and advising me about my baby bearded dragon who had a respiratory infection and I was worried and panicking - they even squeezed in an appointment for her early the following morning!"